"It hurts like hell, she has been dead 28 years. She was only alive 26 years. It's a crying shame that your murder goes unsolved longer than you've been alive," says her sister, Cheryl, through tears. MIDDLEBURG, FL- A young woman, beaten and stabbed to death on a dark, desolate road. A rumor mill swirling about what happened to her that night. 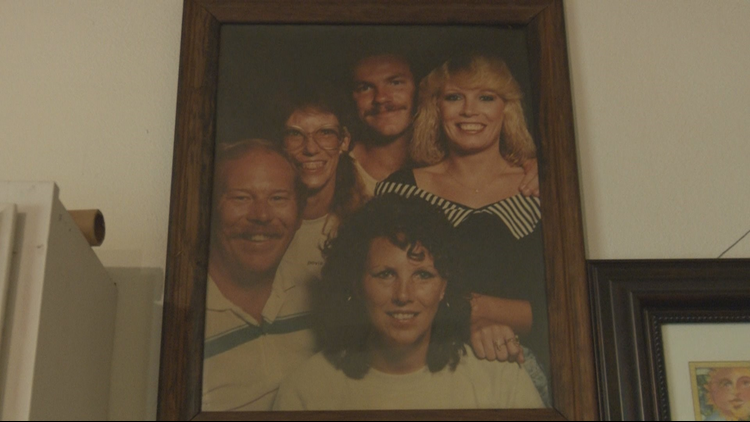 The murder of Teryl Orcutt shocked the quiet, rural community of Middleburg in 1990. It began on the cold morning of January 21, Teryl left her boyfriend's home in Jacksonville and was headed home to Middleburg. But she never made it. A man on his way home from work found her car on the side of CR-218 early in the morning. The door wide open, driver side window down and her purse still on the seat with her money inside. The engine was still running. 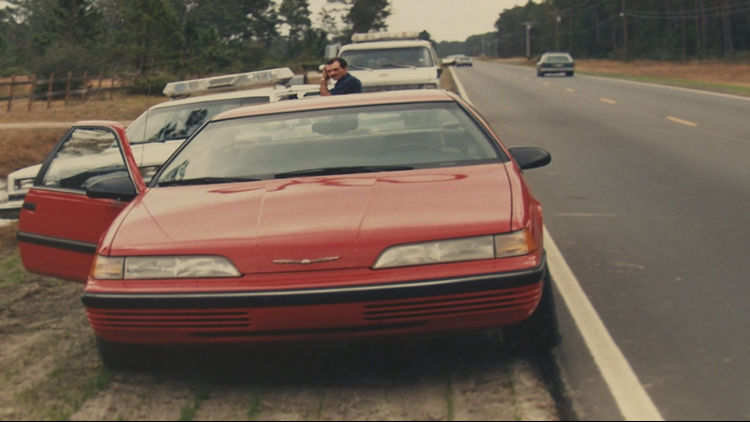 The passerby alerted law enforcement about the car. Investigators got their first break when residents in a home 500 feet from where her car was found told them they heard a woman yelling early that morning. "Two people heard a female saying 'I didn’t do it, I didn’t do it'. And then heard a car pull off," tells Det. Rob Schoonover with the Clay County Sheriff's Office. The case began as a missing person's case. Search groups were formed and the area around CR-218 was combed by investigators and volunteers. 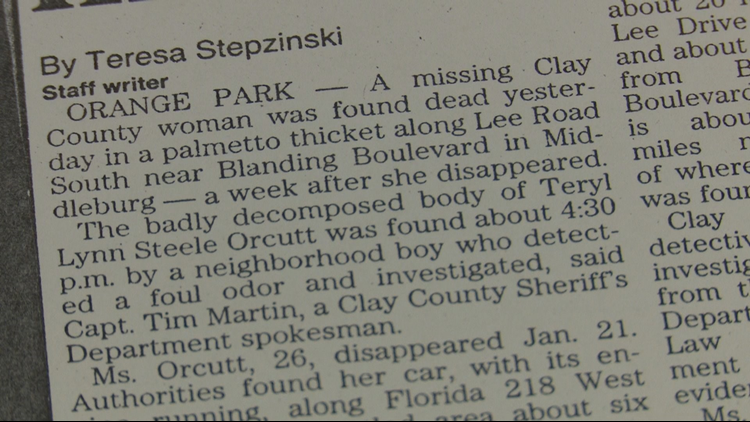 Just seven days later, Teryl's body was found less than four miles away off Lee Road. Her body was around 50 feet into the treeline, not covered or hidden, just dumped. "There were two stab wounds to the chest and a broken clavicle on her left side," explains Det. Schoonover. Teryl’s sister, Cheryl Turner, remembers the moment their mother got the news. "She didn’t change her nightgown, she just grabbed a sweater and took off up there," says Cheryl. They were met by the Clay County Sheriff and a preacher that gave them the news. Teryl's life had been viciously ended. The investigation began, first by looking at how her Thunderbird was found and her injuries. With the driver’s window down, could her broken clavicle be from someone reaching through the window and violently pulling her out? Also, why was she on CR-218 in the first place? Her sister says Teryl's route home should have been I-295 to 103rd St then south on CR-217. Additionally, what about those words 'I didn’t do it' witnesses heard? What did it all mean? Investigators also looked closely at where her body was found on Lee Road, a dirt road that just connects back to Blanding Blvd. "You have to think, who knew to put her there. Someone who was familiar with the area," says Det. Schoonover. Over the decades, numerous investigators have looked over this case, adding onto the already large case file. Det. Schoonover says there have been a lot of persons of interest, but no specific suspects. "My mother died of cancer before she got her answers and I promised her while she was going through her treatment that I would push this and I am pushing it and I’m not getting nowhere," says Cheryl with tears in her eyes. Between Teryl pulling over in a dark area, her purse being left untouched, the stabbing of a petite, young woman and the location of her body, Cheryl thinks her sister knew her killer. "My opinion it was personal, very personal," says Cheryl. The decades haven’t eased the still very raw pain of losing her little sister. She still keeps Teryl’s hope chest, filled with pictures and tapes, the little things that remind Cheryl of her little sister. "It hurts like hell, she has been dead 28 years. She was only alive for 26 years. It’s a crying shame that your murder goes unsolved longer than you’ve been alive," says Cheryl through tears. But Det. Schoonover has been going through the case piece by piece and firmly believes the truth is out there. "Someone back there in 1990, you commit a murder, you don’t keep quiet. You tell somebody, somebody knows. All these years, the family going through this... it is going to take someone stepping up and making that phone call," he says. In the meantime, he is getting with FDLE technicians to see what pieces of evidence can be processed by today's DNA standards. If you know anything about the murder of Teryl Orcutt call the Clay County Sheriff’s Office at 904-264-6512.